The fellowship and awards are made possible by the Stanley A. and Barbara B. Rabin Postdoctoral Fellowship Fund at Columbia University and the Eugene Shvidler Gift Fund at Fordham University. 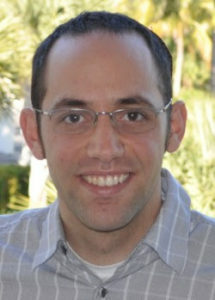 Congratulations as well to Dr. Ofer Dynes (Ph.D., Harvard University) and Dr. Allyson Gonzalez (Ph.D., Brandeis University) both received the Columbia-Fordham Emerging Voices in Jewish Studies Award, and will participate in a lecture series by the same name. Details for each lecture by these three scholars can be found below. For more information and RSVP, click here. Thursday, February 15, 2018 | 6:30 p.m.
Thursday, April 26, 2018 | 6:00 p.m.
For more information on these and other upcoming Jewish Studies events, click here.